How far would you go for an iPhone? I am sure that if I search some news sites, I will definitely find even murder cases over an iPhone but that would not impress me much, you know. Humans are known to eagerly take another life, be it human or otherwise, for practically no reason, so if it weren’t for an iPhone, it would be for a Nokia, for a Nike pair of shoes, for anything. But this, I don’t know… At first I found it sad, very sad. But as I read it over and over, I felt completely disgusted. Don’t get me wrong, I’m not saying that someone does not deserve to have an iPhone (or pretty much anything else) but woman, it’s called child support for a reason! You’re supposed to spend that money on your child! If you can afford an iPhone, you probably don’t need child support! If you’ve been following the new iPad craze, then I’m sure you already know that magazines have begun to offer digital versions for purchase. Since printed press is heavily affected by the economic crisis, this is what I would call a smart move, and sales figures probably agree with me. I do not own an iPad (or iPhone/iPod – or any apple product save from a version of iTunes*) and this post is not about iPad! I know there are arguments for and against iPad, but I do not want to go there, at all. 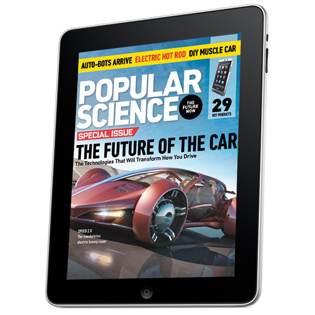 While reading on of my favorite sites (Technabob), I stumbled upon this post, where Shane complains about the price one has to pay for a digital version of Popular Science. The printed version and the digital version cost exactly the same amount of money! $4.99 per issue! At first I wanted to search a bit more, maybe find a statement from a P.S.’s representative, that would try to explain this, but then I got too angry. And between you and me, I don’t give a flying crap. What could have been a brilliant move and would have helped with the crisis they’re going through, seems nothing more than plain robbery.